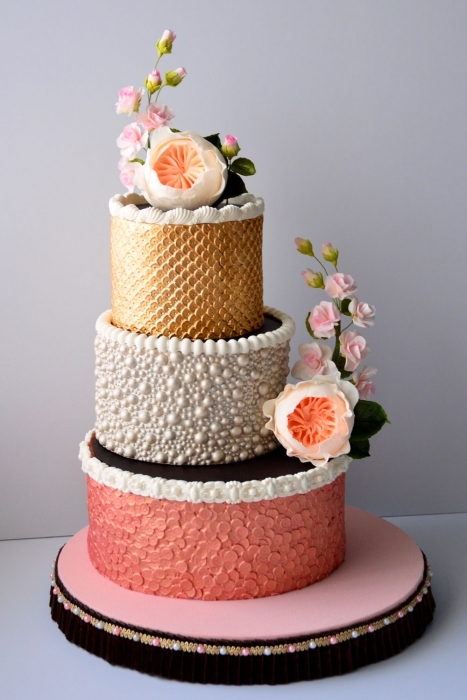 This symmetrical sequin pattern matches from top to bottom and side to side to help you create a seemless design around your cake. An abundance of uses from dress impressions, cupcake toppers and textured designs around your cake. This is a perfect mould to keep in your collection. 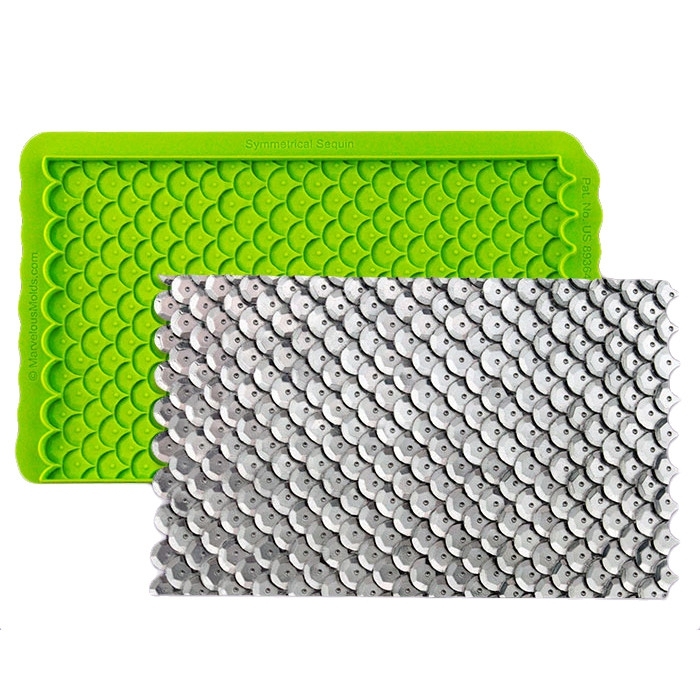 Made by Marvelous Moulds USA from food safe silicone.